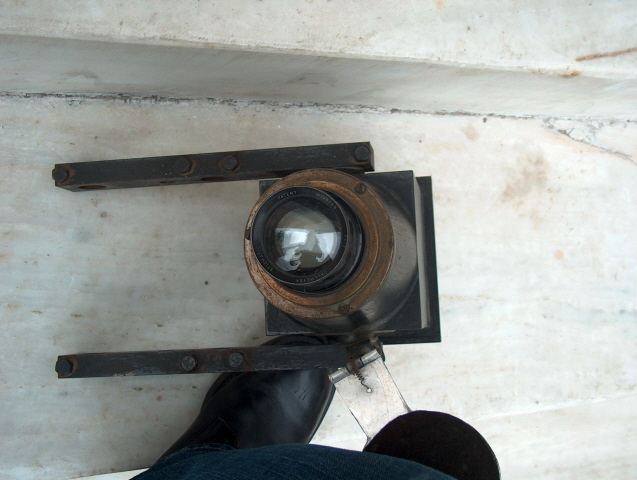 The Camera replaces the eyepiece lens of the telescope. Its small dimensions make it suitable for missions. It was used for photography of the solars eclipses in 1952 (Sudan) and 1961 (Dalmatian coast). Gift of Dr. C. S. Beals, Director of Ottawa Observatory, Canada (Dominion Observatory).